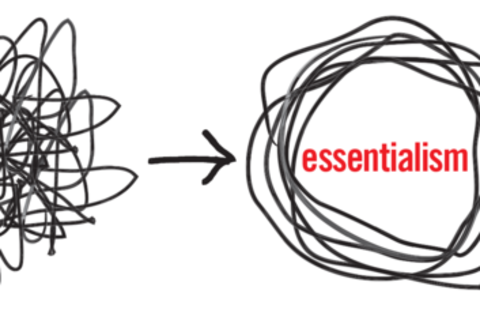 For anyone who has ever felt overworked but underutilized or always busy but never productive, comes ESSENTIALISM, a system for achieving more by doing less; a strategic framework for discerning what is essential, eliminating what is not, and removing obstacles in order to make the execution of what IS actually essential as easy and effortless as possible. By teaching us to distinguish the vital few from the trivial many and apply a tougher, more selective criteria for what is Essential, Greg McKeown helps us regain control of our own choices so we can channel our time, energy, and efforts toward the goals and activities that truly matter. Greg McKeown speaks on living and leading as an Essentialist and is the author of "Essentialism: The Disciplined Pursuit of Less." Greg writes a regular blog for Harvard Business Review and for Linkedin's Influencers. He is a Young Global Leader for the World Economic Forum where he has been both moderator and panel member. Greg recently designed a prototype class at the d.School at Stanford called, “Designing Your Life, Essentially.” He has taught at companies that include Apple, Facebook, Google and Twitter. Beyond this, Greg is an active social innovator as a guest speaker (NetImpact, The Kauffman Fellows) a Board Member (Resolve/KONY2012) and a mentor (2Seeds/Tanzania). Prior to this he worked for Heidrick & Struggles’ Global Leadership Practice assessing senior executives. His work included being a part of a year-long project for Mark Hurd (then CEO) assessing the top 300 executives at HP. Originally from London, England, Greg now lives in Silicon Valley with his wife and their four children. He holds an MBA from Stanford University.